The Parthenon Company Blog - Specialists in Wound and Ostomy Supplies: An Ostomy Catalog For Everyone! An Ostomy Catalog For Everyone! Here at the Parthenon Company http://www.parthenoninc.com/ we believe in providing the best service imaginable along with our LOWEST PRICE in the Nation guarantee. We have done this since the start of our business and continue to do it today. Shopping at Parthenon will save you lots of money! It is impossible to keep tabs on all the prices out there, so simply tell us if you have found a lower price than ours and we will BEAT IT by 5% guaranteed. Our devoted customers can shop in a a few ways: telephone, mail, fax, or online. 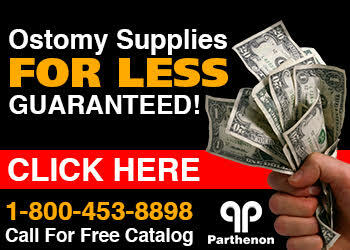 In fact, The Parthenon Company has been selling ostomy supplies online since 1997! One of the first companies to offer that option to customers. In addition, we print annually a one hundred page ostomy catalog which serves as an ostomy medical reference guide to some. Offering all brands including ConvaTec, Hollister, Coloplast, Nu-Hope, Cymed, Bard, Smith & Nephew, OstiKlenz, Stomacare Wipes, Options undergarments, Wearclose undergarments, Celebration Ostomy support belts, Phoenix Ostomy support belt and much much more! I bet you never knew there were so many brands! In addition to this we sell all of the tapes, wipes, sprays, ostomy deodorants, and other skin care products necessary for people with ostomies. Of course, we also offer all of the products manufactured by Parthenon. This inclues Devrom internal deodorant tablets, ParSorb absorbent gel packets, DevKo ostomy pouch deodorant, K-Gum karaya powder, Calcion Plus calcium supplement and a few others! So next time you are running low on your ostomy products of choice, just drop us a line and we'll be happy to provide a quote!